When it comes to tooth decay, catching it early can make all the difference. If you take action as soon as you notice minimal decay, it can often be repaired. Delaying treatment may cause extensive decay that will need to be removed. At Hammond Dental Centre, we’ll recommend treatment based on how severely your teeth have been damaged by the decay. We will always discuss your options with you before proceeding with treatment. If plaque has dissolved the enamel of your tooth — making a tiny cavity — the solution is often as easy as a filling. We can remove the decayed portion of your tooth, and fill the space with a resin (white) filling, a silver filling or a gold or porcelain restoration. If a tooth already contains several fillings -- or has a large amount of decay -- we could suggest a crown. This encircles (or “caps”) your tooth, protecting it and keeping it strong. 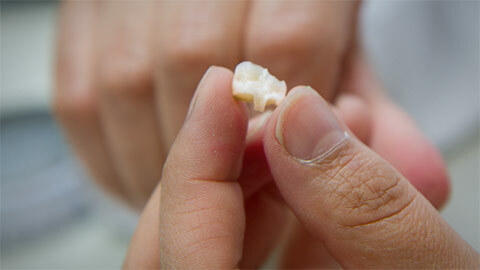 Crowns can be made of gold, porcelain fused to metal, pure white porcelain (to resemble a natural tooth), or zirconia. If tooth decay progresses and damages the nerve of your tooth, you may require a root canal. We remove the damaged nerve and fill the space with new material -- allowing you to keep your natural tooth. Since the tooth no longer has a nerve to provide its blood supply, we may place a crown over your tooth to prevent it from chipping or cracking easily. If your tooth is badly decayed, we could recommend removing the infected tooth and giving you a bridge. We’ll reduce the size of the teeth adjacent to the missing tooth, so the bridge can use these teeth as supports for an artificial tooth in the middle. 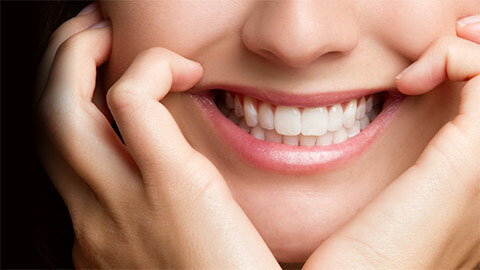 A good solution for a badly-decayed tooth is often removing it entirely and giving you a dental implant in its place. A titanium implant is placed in the bone, and a new crown is placed on the implant. Dental implants do not affect adjacent teeth, and are considered to be the closest solution to having a strong, healthy natural tooth. A dental implant will also preserve the one in the area, and decrease the load on other teeth. If you need more information about Dental Restorations in Bedford, contact us today.